The Division of Cardiology provides care in British Columbia for cardiovascular disorders occurring in childhood. This mandate extends from in utero diagnosis via fetal echocardiography through to supervision of care in the adult world at the Pacific Adult Congenital Heart Clinic. A program of family-centred care is anchored in the Heart Centre at B.C.’s Children’s Hospital and extends to all the regional centres of the province through the Partnership Program in Pediatric Cardiology. The Heart Centre program is one of the two surgical centres in the Western Canadian Children’s Heart Network, and provides care for patients from Manitoba as well as British Columbia and Yukon Territory. There are also regular clinical and educational teleconferences across the network which includes the cardiac programs in Vancouver, Calgary, Edmonton, Saskatoon, and Winnipeg. The Division enjoys excellent relations with the Department of Radiology and together we provide an imaging service second to none in Angiography, Cardiac CT and Cardiac Magnetic Resonance Imaging. There is an extensive pathological museum and regular rounds with the Department of Pathology. The Heart Centre prioritizes teamwork in delivering world-class care for children affected by heart disease, and is supported by a passionate team of clerical and technical staff. The Children’s Heart Centre is active in research at the local, national and international levels. Funding from the CIHR, the Heart Stroke Foundation and the Canada Foundation for Innovation supports several core projects in Electrophysiology, Interventional Cardiology and Cardiac Prevention. Division members pride themselves on mentoring junior researchers including medical students, pediatric residents, cardiology fellows and aspiring scientists. Scientific work is routinely presented at the Canadian Cardiovascular Society, the American Heart Association as well as subspecialty meetings like the Heart Rhythm Society and PICS. 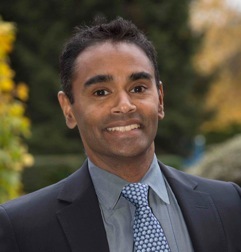 Members of the Division of Cardiology have been recognized by the Department of Pediatrics for fostering an environment for research mentorship and faculty members have taken leadership positions including the President of Research for the Pediatric and Congenital Electrophysiology Society (Sanatani) and President of the Canadian Pediatric Cardiology Society (Harris). We have also made contributions to national cardiovascular guidelines including Newborn Oximetry Screening (Human), the Approach to Syncope in the Pediatric Patient (Sanatani), Management of Heart Failure in Children (Human) and the Diagnosis, Evaluation and Treatment of Hypertension (Harris) and are leading several international registries on cardiovascular disorders in children. The Pediatric Cardiology Training Program is an integral part of the only tertiary care cardiac centre for children in the Province of British Columbia. Successful undergraduate teaching is a hallmark of the Division. There are 2 third year students for every 3 week block though the calendar year. Fourth year medical students rotate through Pediatric cardiology frequently. The Division was awarded the Excellence in Teaching award from the 4th Year students and all members of the Division have received excellent assessments from the Undergraduate Program. The Pediatric Residents have recognized the teaching accomplishments of the Division with awards to Drs. Sanatani, Human and Duncan, as well as to the service. The Cardiology Fellowship program was fully accredited by the Royal College again in 2013, and our candidates been uniformly successful in the Pediatric Cardiology examinations. The Division has consistently had 1-2 Sub-specialty residents as well as 2-3 clinical fellows in training, creating a stimulating environment for learning and teaching. Adult cardiology residents/fellows have a designated month spent with our service at BCCH. The academic half day is resident driven and supports a vigorous educational curriculum. All residents/fellows have ongoing research activities and participate in invited presentations at local, national and international conferences. All members of the Division contribute to CME courses around the province and take an active role in the Pediatric and Pediatric Emergency Medicine Courses sponsored by the University of British Columbia. Regular invited presentations have been given to the Canadian Pediatric Society and the Canadian Cardiovascular Society meetings over the years. The ability of the Division of Cardiology to provide the highest possible standard of care is based on a collaborative team approach, with an open dialogue between health care providers. Supported by state-of-the-art diagnostic equipment and skilled technical personnel, the program enjoys a high rate of patient and family satisfaction with world-class operative results. The Heart Centre is supported by the BC Children’s Hospital Foundation and has been fortunate to maintain the newest in diagnostic echocardiography and electrodiagnostic equipment. Cardiac Radiologists support the program with regular rounds, education sessions and MRI unit and spiral CT scanner. The Echocardiography Laboratory has completed a major upgrade, with new machines, including portable units which support the travelling clinics, and a digital recording and reporting system. This has created compatibility with the imaging systems in the Department of Radiology, prepares the Division for the era of the electronic patient record, and creates the ability to integrate these tools into a hospital-wide digital imaging and recording system. The inpatient services centres around a busy cardiac surgical program performing approximately 250 cardiac surgical operations each year. The full spectrum of operative care is provided, including heart transplant and mechanical support programs. Multidisciplinary rounds are conducted twice daily through the weekdays with the Pediatric Intensive Care Unit. A busy consultation service is also provided to the Neonatal Intensive Care Unit and other pediatric divisions. Inpatient acuity continues to intensify with frequent utilization of intra-operative echocardiography as well as increased clinical support demanded by the Extracorporeal Life Support (ECLS) Program. The outpatient clinic at the Heart Centre is the hub of the program with over 10000 patient encounters per year. Specialized clinics include a heart function clinic, a healthy lifestyle prevention clinic, and transplant clinic. A full-time exercise physiologist supports clinical care as well as research. A regular outpatient clinic is held at Surrey Memorial Hospital. The diagnostic services encompass the full range of non-invasive services expected in a leading academic institution. Fetal echocardiography service is provided jointly with the high-risk perinatal unit of B.C.’s Women’s Hospital. Invasive electrophysiology studies in the cardiac catheterisation lab. The Heart centre is part of the British Columbia Inherited Arrhythmia Program. The annual clinical activities of the Division include over 7000 patient visits, supervision and reporting of over 5000 echocardiograms and 4000 electrocardiograms, as well as Exercise testing and Holter monitor reports. Over 200 cardiac catheterization procedures, including a full range of interventional procedures, are done each year. The Division's Pediatric Partnership Program continues to expand, with more than 800 patient visits across the province each year. All regions of the Province are covered, as well as the far North (Whitehorse), and more frequent clinics in the Okanagan clinic centres. Telemedicine has now become a part of the Division activities, with links to northern B.C. allowing for real-time consultation and echocardiography from Prince Rupert, Prince George and Smithers, and teleconferencing with Victoria on a regular basis during Cardiovascular Surgery rounds. The contributions of the Division to Pediatric Cardiac care at the Provincial level have been recognized by the Parminder Singh award of the BC Pediatric Society to Drs Sandor and Human.